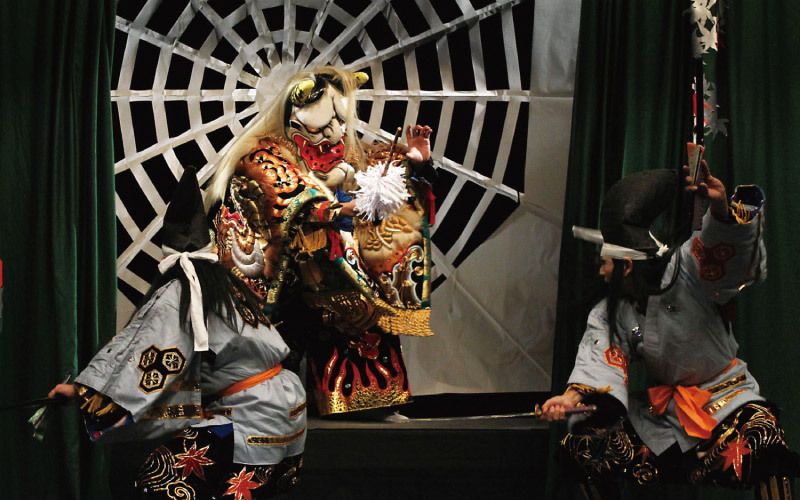 About 1500 years ago, powerful family clan leaders battled fiercely for control of Japan. Those who were defeated fled deep into the mountains and dug holes into the earth, and were forced to live their lives like nothing more than tsuchigumo (legendary demon spiders of old who lived deep in the earth). Hundreds of years passed, but the tsuchigumo remain steeped in rage against those in control of the country, and it is that rage which turned them into demons to avenge their long history of humiliation and seize power from the shogun. Minamoto-no-Raiko, the shogun at the time, was attacked by such a demon. Despite being ill, the shogun is able to drive the demon back into the mountains using a powerful sword that had long been a family heirloom. Shogun Raiko then entrusts the sword to his retainers and sends them into the mountains to finish the tsuchigumo off for good. Shogun Minamoto-no-Raiko, suffering from a terrible illness, sends his maid for some medicine. However, the tsuchigumo grows wise to this plan, and disguises himself as his maid, bringing him poison instead of medicine. 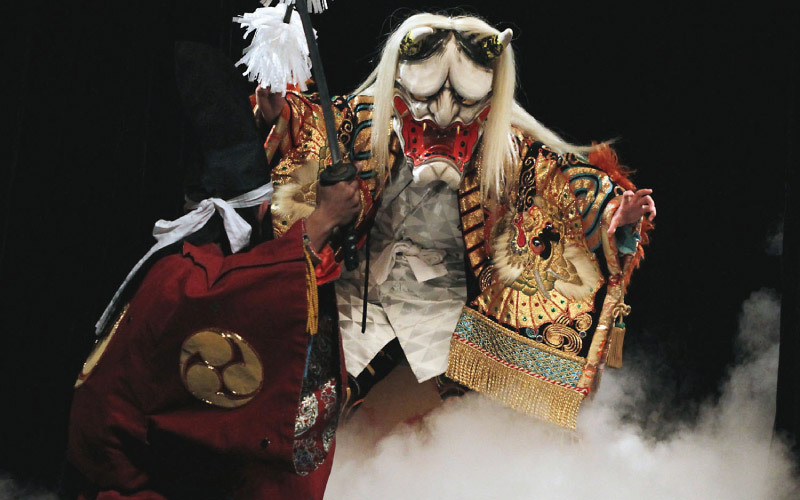 Believing it to be medicine, Raiko takes the poison and as it spreads through his body, the tsuchigumo reveals himself to be a demon and attacks the weakened shogun. Raiko uses all of his strength to defend himself with his sword and manages to get a good hit on the demon. The injured demon flees back to his home in the mountains, however the shogun's retainers are right on his heels with the heirloom sword in hand. After a fierce battle between the demon and shogun's retainers, the demon is at last defeated.